Few fashions are more adorable than dressing up like a furry woodland animal! But with so many different kinds to choose from, which one would be best suited to fit your personality? Before this turns into a philosophical journey to discover your "inner-critter," you should figure out if you want to commit to an authentic looking wildlife costume and start forging for sustenance like the rest of the animal kingdom, or if just having cute ears and a furry tail sounds pretty cool, by itself. If you answered "cute ears and a furry tail!" 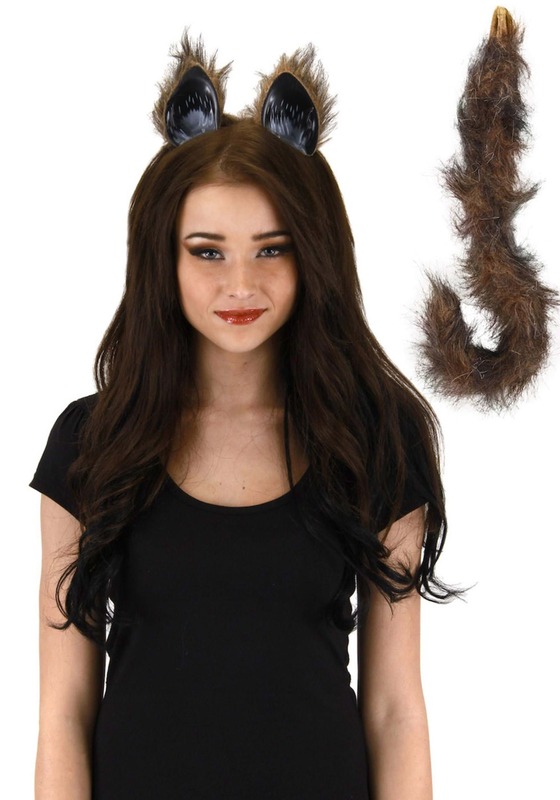 then this Cat Tail and Ears accessory set is totally your thing! This bendable faux furry tail attaches to the belt loop of your pants or skirt, and the frilly pointed ears go around your noodle with the clear band, to give you a frisky look! Add this new look to your favorite outfit, and any occasion!